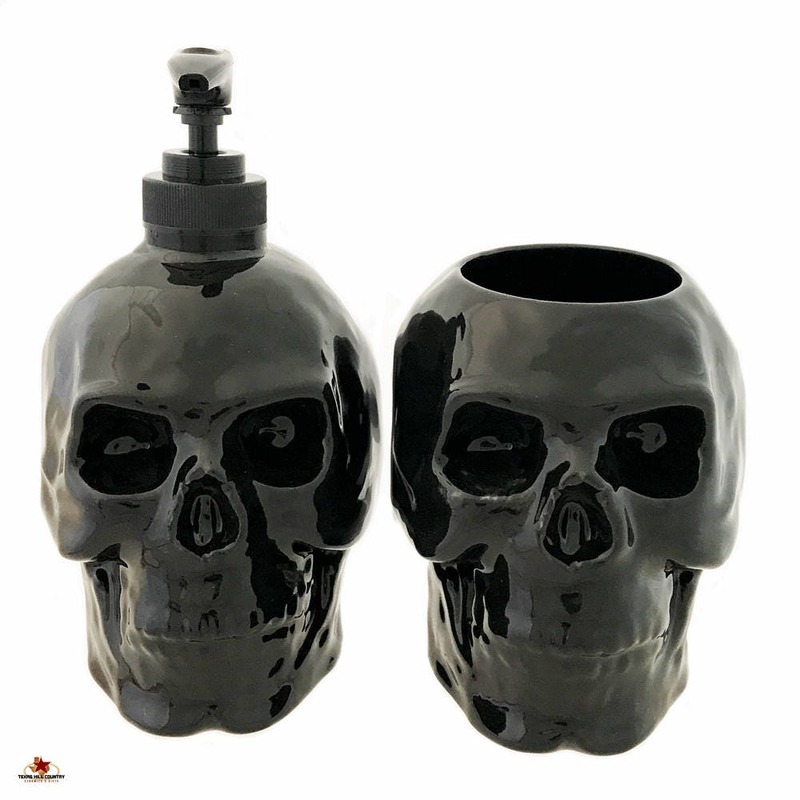 This ceramic skull soap dispenser and holder set in Gloss Black is perfect for any men's bath vanity or kitchen decor. 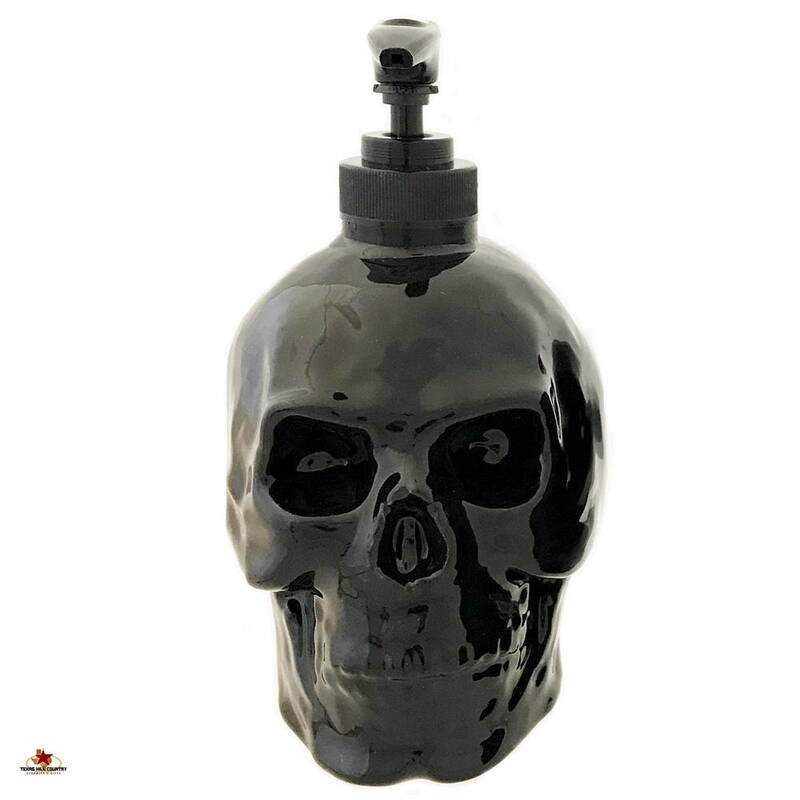 One skull is designed to be used as a soap dispenser, it will hold any liquid soap or lotion, the holder can be use to hold toothbrushes, makeup brushes or combs or hair brushes, plants, teaspoons and more. This gloss black ceramic skull set is part of my skull ware collection I have created, it is a great accent piece for Haunted Halloween horror, zombie celebrations, pirate decor or Friday the 13th celebrations. 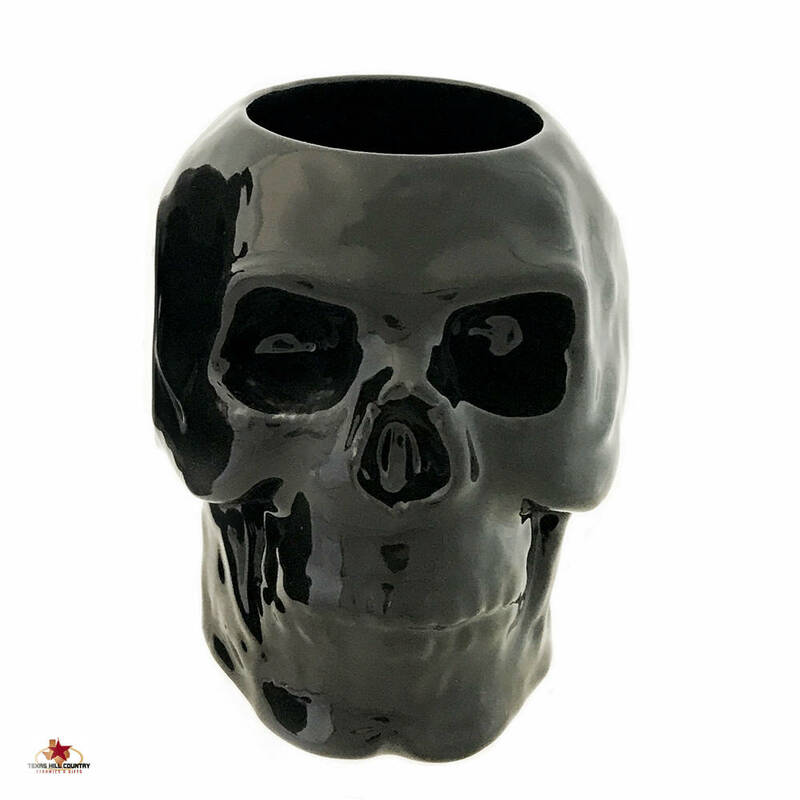 Ceramic skulls are ideal for adding a little creepiness to any area of the home or office. The ceramic skull pump dispenser can also hold hand sanitizer. Please keep in mind each one is handmade and has its own individual characteristics. • A black plastic pump is included. The dispenser is fastened to the top of the skull with a threaded collar that is affixed with an epoxy adhesive. The ceramic skull pump dispenser and holder is made of domestic ceramic earthenware and kiln fired. This human skull set is finished in lead free gloss black glaze. The skulls are also glazed inside sealing the entire piece for added life. Soap dispenser that 'weep' their contents are not finished on the inside so eventually the outside finish will deteriorate rendering it useless. This unique dispenser and holder set is made to last many years. These are perfect. Super fast shipping, definitely looking for something else to buy.